It makes sense to invest in marketing, because it’s a proven way to boost your overall sales. However, if you develop a marketing strategy without a definitive plan, you could be wasting valuable dollars. But even if you have a strategic plan, it’s important to know the effectiveness of that plan, so you can make necessary adjustments to improve outcomes. 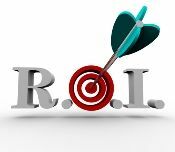 What is the best way to boost your marketing ROI? Three easy steps will get you there. A targeted objective, where every component of that campaign is designed to meet that goal. For instance, if your goal is to generate leads, every piece of communication within that campaign should help support that target. Each point of communication should give the consumer an opportunity to respond. For instance, promotional materials that offer a discount should optimize the call to action with an appropriate deadline and a clearly defined offer. Use multiple response methods, including online forms, email address, phone numbers or postage paid reply cards. Offering several methods of communication serves your customers’ preferences, and improves response rates. Capture email addresses or postal addresses from a lead-generation campaign. Notify you if a customer responds with a question or interest in your services. Allow you see referrals quickly. Overall, the marketing ROI tracking system should allow you to access information at all times of the day. The best programs will summarize the information from your campaigns so you can easily interpret the results. Further, the system should incorporate analysis tools and reports to give you a bird’s-eye view of your marketing programs’ success. Continuity Programs offers turn-key solutions and a comprehensive marketing program, along with tracking and measurement capabilities, giving you full control over your marketing ROI. Boost your ROI potential — and take advantage of our expertise.